It’s the end of the world. The surface is an irradiated wasteland filled with mutants and desperate survivors. Below the ground, however, resides a family, sheltered in their stalwart vault. 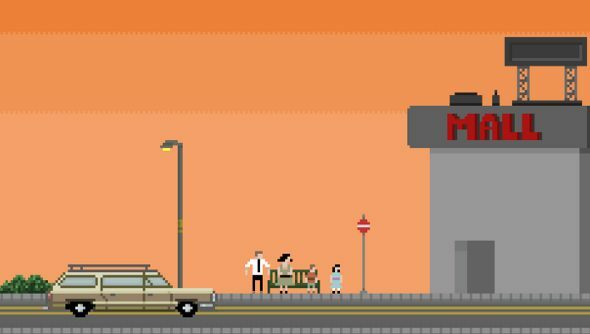 With Sheltered, developer Unicube is taking the well-worn post-apocalyptic setting, but is putting family first. Pensions, schooling, family holidays – they are all distant memories, replaced by slavery, cannibalism, banditry and survival. Anything to keep the family going. The post-apocalypse is, all things considered, not a very nice place. With the Kickstarter recently ending in success – netting Unicube $30,148, over double the first target – I wanted to take a peek inside the vault. I spoke with Dean Foster, lead programmer, and Sonny Meek, artist and programmer, to get the skinny on this curious survival management sim. There will still be wandering, though. But we’re getting ahead of ourselves. Not only can the family be customised, they each come with their own traits specific to them. The developers note that they have needs that must be taken care of, and they can grow anxious and depressed. It is the end of days, after all. While RPG-like dialogue trees mean that the conversations are controlled by the player, there are organic reactions that player actions can influence. The development of the children is, according to Foster and Meek, a good example of this. If the kids see their parents being extremely violent in combat – which is controlled by the player – then they’ll grow up seeing violence as the norm. “[T]he children are going to grow up as fairly nasty pieces of work”. The aforementioned combat is described as being similar to Final Fantasy and D&D, and in a slightly disturbing twist, all family members can fight. This might not be advisable, though. When they’re young, the kids are a bit rubbish at fighting compared to the parents and any pets they might have, so it’s better to keep them away from violence. “Unless you want to use the children as cannon fodder…then it’s a different story.” It’s a distressing thought, using children as a meat shield, but Sheltered doesn’t shy away from showing the hideous face of survival at any cost. The shelter, which can be expanded and customised with new rooms, furnishings and defences like landmines, it a tempting mark or sanctuary for other survivors. These wasteland wanderers can be turned away or invited in. If they join the family, then they take up space and resources, but that’s the only thing that limits how many people can fit into the shelter. “The way we’re programmed the shelter is to be able to scroll backwards on the Z-axis indefinitely,” I’m told. 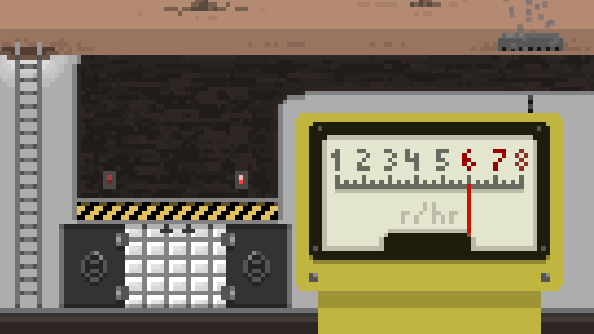 “The player, with enough resources and time, could make a fairly large community.” But that’s a risk. 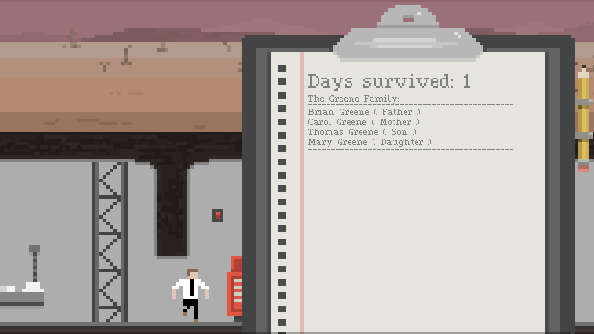 Survivors can turn on the family, and the family can even fight amongst itself. Treachery and infighting is only the tip of the radioactive iceberg. The family is not the Brady Bunch; when push comes to shove, they can be just as savage as any bandit or crazed survivor. Maybe it would be better for survivors to just walk by the shelter, and not wonder what is inside. They can be forced into slavery by the player, or worse, become food for the family. 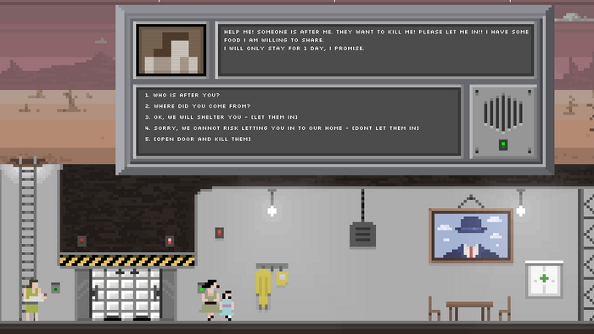 Sheltered is a lot more grim than its quirky pixel art facade belies. In the Wanderer Mode, the family can become literal bandits and create violent posse. With a stronger focus on combat, the family wander through the wasteland with only a vehicle and limited supplies. They’ll fight mutants and other survivors as they move from place to place, scavenging or stealing new resources. It sounds like it’ll be safer for the rest of the world if they just stay in their shelter. 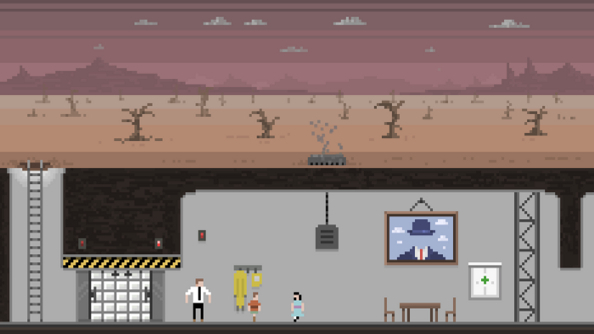 In a genre dominated by zombies and lone gunmen, an unsettling management sim sounds like a breath of fresh air in the radioactive wasteland.